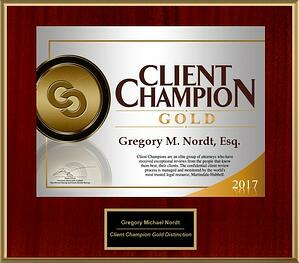 In 2016, Martindale-Hubbell retired the "Client Distinction" award, and replaced it with the "Client Champion" award. The new Client Champion awards, an exclusive recognition that demonstrates an attorney’s commitment to client service based on the quantity and quality of their scores on Martindale-Hubbell client reviews. 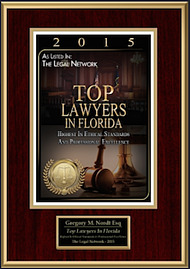 Fewer than 1% of all attorneys qualified to receive an award. 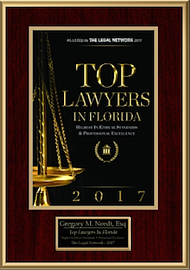 In 2014, 2015, 2016, 2017 and 2018 Amerihope Alliance Legal Services has received the Top Lawyers in Florida award. 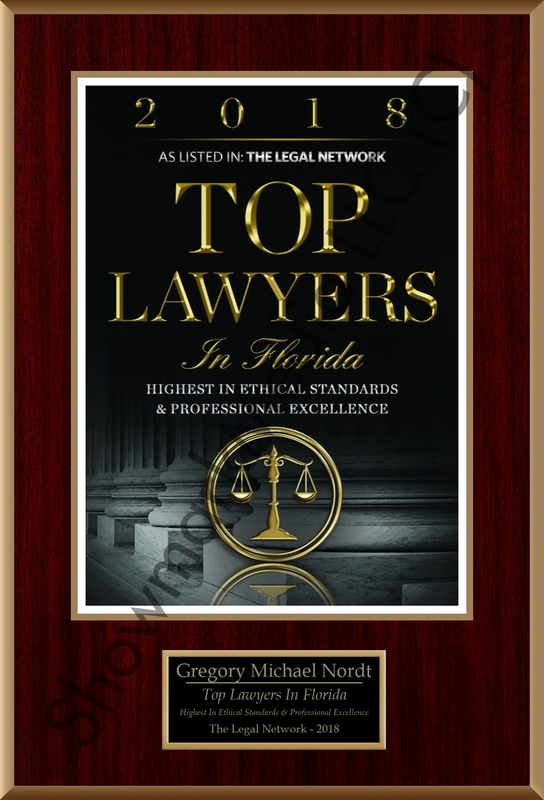 Martindale-Hubbell, which has been considered the gold standard for rating attorneys for more than a century, has given the firm four consecutive Client Distinction awards for 2013, 2014, 2015, and 2016 based on stellar reviews from satisfied clients in Florida, Illinois, New Jersey, New York, and Pennsylvania. 2017 Update: Martindale-Hubbell is not issuing the Client Distinction Award in 2017. 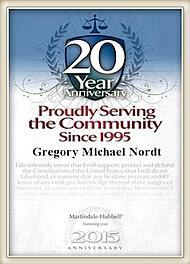 Martindale-Hubbell also recognized Gregory M. Nordt, Esq., attorney, managing partner, and founder of Amerihope Alliance Legal Services, for his 20th anniversary of proudly serving the community in 2015. 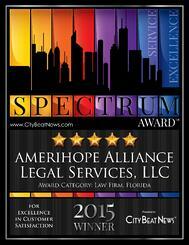 The firm also received the Spectrum Award for excellence in customer satisfaction in the Florida law firm category from City Beat News in 2015. City Beat News looks at many sources of information to to find the top companies across the country. Only companies that earn the highest ratings are honored with the Spectrum Award for Excellence in Customer Service. Since Amerihope Alliance Legal Services was formed more than seven years ago, the firm has completed over 7,000 successful loan modifications. Our diverse and qualified staff of lawyers, paralegals, and legal assistants are proud of the work we have done on behalf of distressed homeowners. You can also find additional reviews from satisfied clients on Trustlink.org, where consumer reviews are posted and no company can pay for a good rating or post their own reviews. 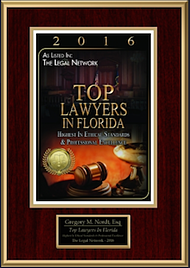 Based on our past record and our ongoing success on behalf of our clients, we expect to continue to be recognized with more awards when they are announced for 2017 and beyond. 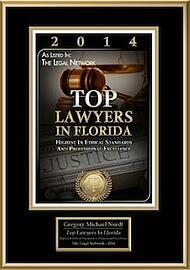 While it's great to be recognized for our accomplishments, we're not resting on our laurels. We continue to earn our clients gratitude every day by defending them from foreclosure and helping them get the mortgage loan modifications they need to save their homes. We currently offer assistance to homeowners in Florida, Illinois, New Jersey, New York, and Pennsylvania.